The high-end hat business isn’t what it once was in Detroit. At his second inauguration in 1956, President Dwight Eisenhower wore a hat from Henry the Hatter, which left Detroit earlier this month after its landlord kicked the business out of its downtown Detroit location of 65 years. Even though hat-wearing is no longer a popular fashion, the city still has an ordinance mandating businesses that wash hats get a license. The ordinance was written for a time when people would drop their expensive hats off at businesses that only cleaned hats, according to Kevin Jones, the manager of the city’s Business License Division. Those businesses no longer exist in Detroit. 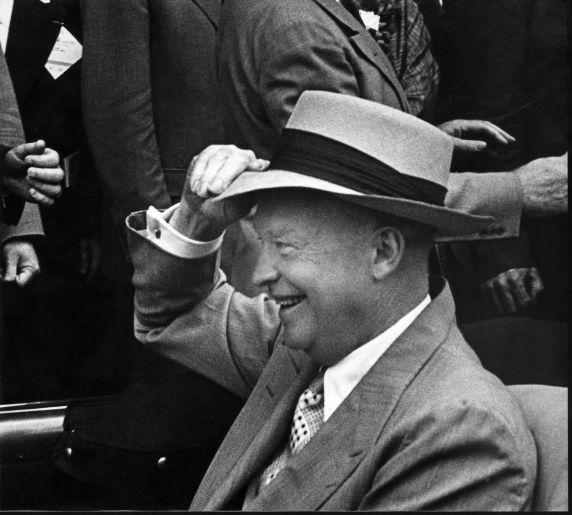 Here's a picture of President Dwight Eisenhower wearing a hat during a 1952 trip to Detroit. Photo via the Walter P. Reuther Library. The city is considering repealing its occupational licensing requirements for hat washing, and Jones said the city hasn’t enforced the licensing mandate in at least 19 years. Jarrett Skorup, who wrote a recent study on occupational licensure for the Mackinac Center for Public Policy, said that leaving unenforced rules on the books is bad governance. “It's good that the city isn’t enforcing this ridiculous regulation, but the government shouldn’t make a mockery of the rule of law by arbitrarily ignoring its own rules,” Skorup said. He noted that before the city entered bankruptcy, Detroit shut down 900 businesses for regulatory violations, which were often minor. “A better option would be Detroit thoroughly reviewing the licenses and regulations it has on the books and repealing those not related to health or safety,” Skorup said. When contacted by Michigan Capitol Confidential, many dry cleaning businesses in the city, including those which wash hats, had no idea Detroit mandated a license. Parakeash Shah, who owns and operates City Laundry in northwest Detroit, is tired of dealing with occupational licensure mandates after 30 years in the dry cleaning business. Shah said he tries to follow all applicable city rules but has at times felt harassed, saying he has been subjected to inconsistent enforcement throughout the years. Shah wants to be left alone to run his business. Jones said the city notifies businesses about its mandates by sending out investigators to survey businesses and then sending memos to those affected. Sometimes investigators visit businesses for face-to-face visits. 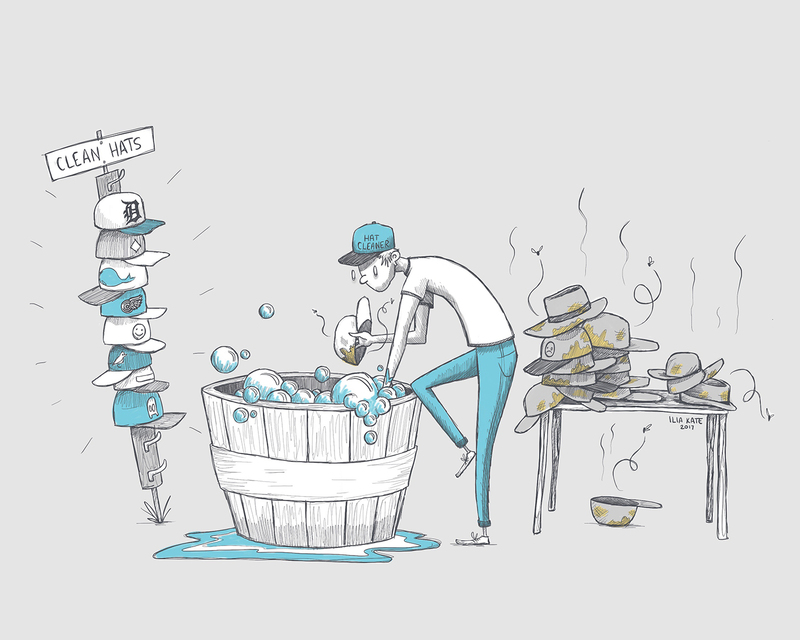 A hat washing license is just one of the approximately 60 occupational licenses the city government requires of people operating a business in Detroit. The city’s mandates are imposed in addition to those created by state law. Examples of other city-specific occupational licenses include those needed by awning erectors, window washers, movers, auctioneers, sign erectors, landscape gardeners and snow plow operators. Some states have recently passed reforms that prevent cities from instituting their own unique occupational regulations. Earlier this year, Tennessee banned local governments from passing their own occupational licensing laws. Wisconsin passed similar legislation in 2016. Some Michigan legislators are interested in this type of legislation. According to Rep. Brandt Iden, R-Kalamazoo, a package of bills addressing licensure issues could be introduced in the Michigan House as soon as this fall. Iden chairs the House Committee on Regulatory Reform.